When it comes to Philippines’ best destinations, Boracay tops to any traveler’s list. That’s according to previous surveys. Just recently, Travel+Leisure magazine named Palawan as the best island among the surveyed travelers in its “2013 World’s Best” list. This ranks Boracay to second place this year. 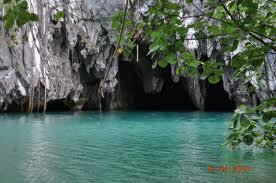 Situated in the southern part of the Philippine archipelago, Palawan is regarded worth the trip by tourists. It definitely is a haven for travelers who want to experience true island paradise getaway. It is one of the best examples of undisturbed and untouched flora and fauna. In fact, snorkelers and divers flock to the island as they are attracted to its teeing marine life. Among the other must-see offerings of the island include the Underground River, Natural Cathedral Cavern, El Nido’s Diving Spot, and the activities like island hopping, hobie cat sailing, beach picnics and kayaking. What continuously spark travellers to visit Palawan are its age-old burial sites and fossils, diverse marine life and vast mangrove forests. Categories Select Category Awards ETC. Everything Outdoors Food Ventures Guidelines and Itineraries Health and Wellness Musings and Memes Travel Diaries Travel Tidbits Uncategorized What’s the Craze?